Spare a thought for the poor development (and localisation) team behind Akiba’s Beat. To find out too late that you’re working on a game so similar in thematic tone to Persona 5, on a fraction of the development time and budget, must have been crushing. Related reading: This game is so thematically similar to Persona 5. Read Matt's views on that game here. 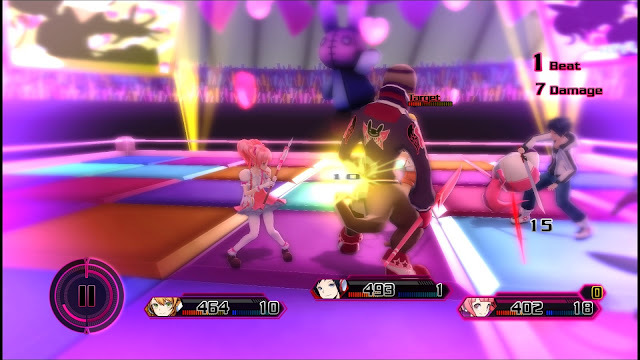 It would be one thing if Akiba’s Beat was no good; then you could simply dismiss it out of hand and move on. But it’s more than decent – Akiba’s Beat is a genuinely good game that deserves better than the muted response it’s going to get. The community of JRPG fans, who are well burned out with the narrative after spending over 100 hours with Ann, Yusuke, Ryuji and the crew, are going to go into this one and immediately draw comparisons, and that’s simply going to taint their vision of the whole experience. And sure, Akiba’s Beat doesn’t have Ann, and that’s probably it’s biggest failing, but it’s still a hugely entertaining game doing a good job with the themes it’s working with. In Akiba’s Beat, you play as a NEET – a loser who sleeps in well past midday and spends the rest of his time hanging around with the maids and otaku of Akihabara. This fellow’s a walking stereotype of everything that gets pinned on the people who frequent Akihabara, and while it’s a joke that’s well overplayed, the game has a genuine sense of humour from the outset. This guy discovers that he has the ability to see – and enter – dimensional doors to otherworldly places that are created by denizens of Akihabara with particularly powerful desires. 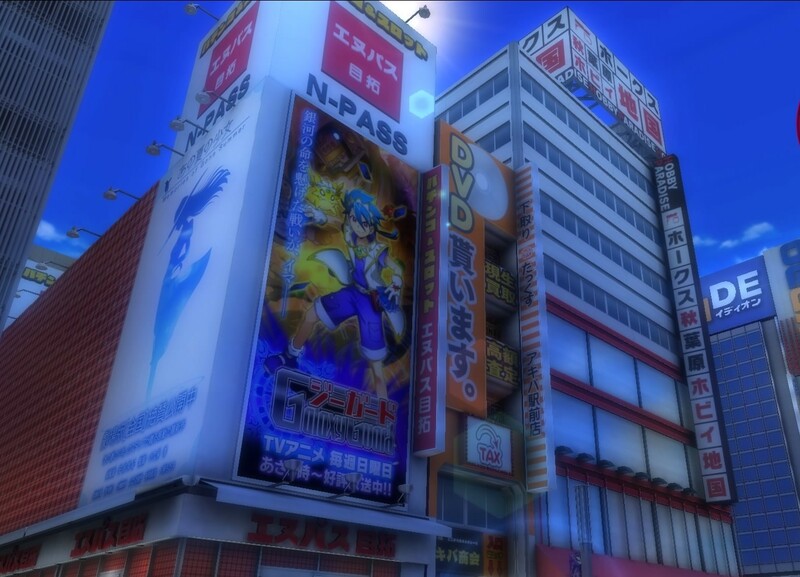 Along the way he meets a group of other people with this ability – all equally stereotypical of one part of Akihabara or another, and they all join up to enter these places, defeat the bosses, and thus cause the environments to disappear. These places are called “delusions” and are Bad Things(™) that need to be destroyed because of the adverse effect they’re having on Akihabara, not least of which is the fact that they’re trapping the city in an endless time loop; everyday is a Sunday Groundhog Day for the entire population, though the only ones aware of that are those who can perceive the dimensional doors. This, too, is played for comedic effect as much as anything else, but there are serious undertones to it – and everything else that happens in Akiba’s Beat, for that matter. Each of the ‘delusions’ is created from the fantasies of someone who sees Akihabara in a particular way; the first dungeon is the creation of a guy who wishes for the city to go back to being a paradise for music electronics (Akihabara long ago was less the Mecca for anime and game otaku and more a place where you’d go to get your electronic equipment for actually cool stuff). The next dungeon is the creation of a wannabe idol, looking to make it in the incredibly tough market for these things in Akiba. The third is the fabrication of a chuunibyou – a person convinced they have anime-style special powers, and so on. 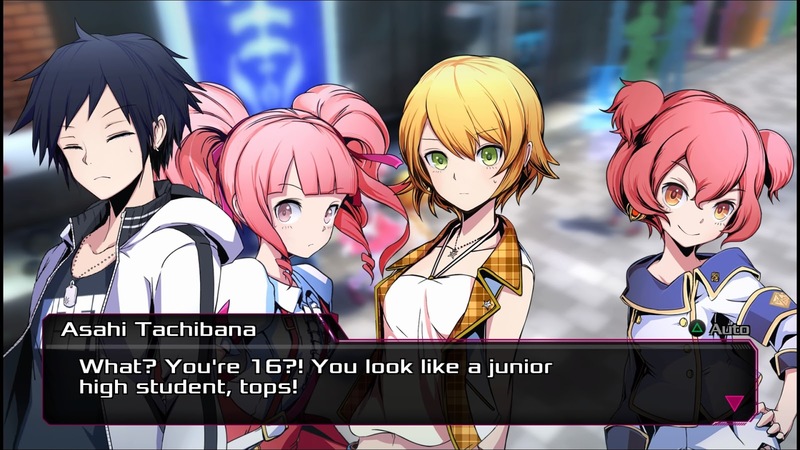 Over its run time, Akiba’s Beat takes players through just about every sub-community you’ll find in Akihabara today, and again, while this is done in a spirit of humour, it’s also a game that’s intensely self-aware; the game itself is an artefact of these cultures, and is frequently reflective on what makes them tick. Generally clumsy writing and unattractive character models (again, perhaps I’ve been spoiled by Ann) made it more difficult to care about it all than I did in Persona 5, but as someone who has spent his fair share of time in Akihabara over the years, I did find the way the game represented the cultural ecosystem of the city to be incredibly familiar. Akiba’s Beat doesn’t judge; indeed, it’s quite clearly a defence of the fundamental good of a part of Japan that many in the mainstream wish didn’t exist, and for that it is quite noble. I also had so much fun simply wandering around the game’s recreation of the city. Between dungeons, you’ve got an “open world” version of Akihabara to explore, and I greatly enjoyed simply noting the various landmarks that I’ve noticed over the years. The ramen shop where I had ramen dinner with the Koei Tecmo people, the shopping building where I found my Hatsune Miku doll, the shops where you really don’t want to go up the steps from the first floor; it’s all there in the game. The names have been changed for licensing purposes, but there it all is and instantly familiar. If Grand Theft Auto’s appeal is, in part, because it depicts American cities and cultures in a way that’s familiar to people who know them (and thus the game’s story writers can explore social critique through that familiarity), then Akiba’s Beat is similar, but this time around for people who are aware of the real city of Akihabara. It takes time in the city to really get a sense for how it all ticks; most people do the touristy thing and see the lights, colour, and superficial attractions before moving on. 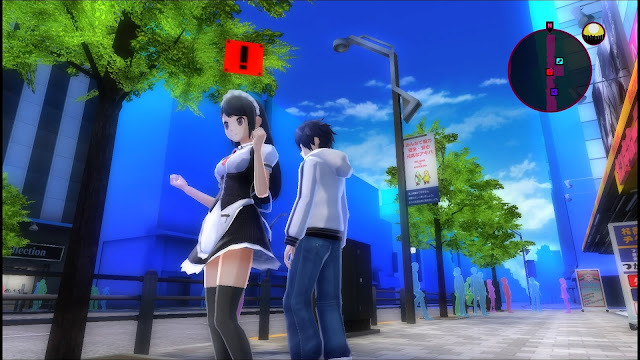 Akiba’s Beat will appeal to people who have spent more time in the city than that. As the sequel (in principle) to Akiba’s Trip, Akiba’s Beat is fascinating because it plays absolutely nothing like its predecessor. If the Persona-like dungeons weren’t proof enough of that (given they weren’t in Akiba’s Trip), the combat system has been cribbed quite wholesale from Bandai Namco’s Tales Of series, and is nothing like that previous game. Get into a battle and you’ll be facing enemies in pacey real-time action. Special abilities can be mapped to various controller inputs, and while you’ll only have direct control over one character, you’re able to set up the skills and strategies for your AI helpers to follow and assist you in battles. This combat system is a lot of fun. Each character does have distinct abilities and a role in the battlefield, and the action is fast enough that you’ll need to think quickly as you play. The crowning achievement of combat is the super attacks that you work towards (usually in time for the boss battles). Once activated, you’ll have a short time where you’re super powered-up, and if you can time attacks and strikes with the rhythm of the background music (for which you’ll have a number of tracks to choose from), you’ll be able to take down even the toughest boss quite quickly. Maximising those moments is, of course, not easy. As admirable as the combat system is, it has to be said that it’s not up to the standard of Namco’s team, who have been doing the Tales Of games for so long now. Especially with Tales of Berseria being such a highlight of the series with its graceful, flowing combat system, to jump into Akiba’s Beat feels like a step backwards far too frequently. Perhaps the biggest criticism of Akiba’s Beat is just that; it cribs ideas from a number of different games, but is unable to better any of them, or establish its own identity independent of its sources of inspiration. 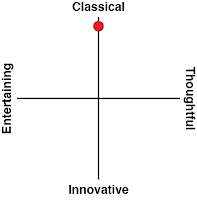 It takes the narrative themes from Persona 5, but can’t explore them to the same intensity or depth. 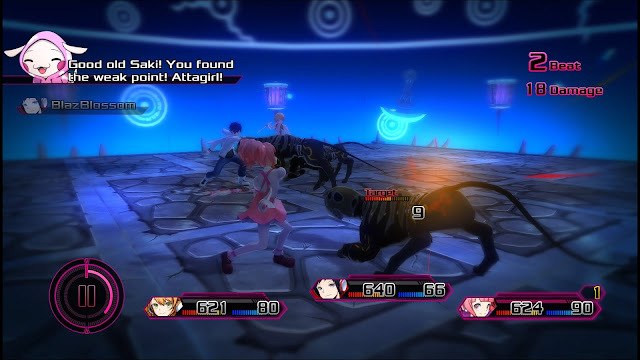 Its combat system is from Tales Of games, without the refinement, and the moment-to-moment structure of the game is like Akiba’s Trip, but without the context. While the narrative calls for the game to have these Persona-like dungeons, that leaves Akihabara itself feeling like a shell to briefly explore and then forget, where in Akiba’s Trip is was a far more critical part of the gameplay and narrative experience. One thing that I do feel the game lacked - and probably should have borrowed from most of the games out there that are designed for the Akiba audience - was fan service. For a game set in Akihabara, about Akihabara’s subcultures and otaku, the general lack of fan service is actually very noticeable, and tonally dissonant, and this ends up working against the game’s themes; surely, if you’re making a game that is in effect a commentary on otaku, adding commentary on fan service and how people respond to it would have been essential. It was there in Akiba’s Trip in a big way (and quite cleverly subversive about it all at that). There is the odd moment where fan service is kind of there in Akiba’s Beat, but it’s too infrequent and undercooked for what I expected going in. Related reading: The previous game in this "series" is Akiba's Trip. Clark's review of the Vita version. These issues aside, what Akiba’s Beat does well is mesh all the stuff into a B-grade bit of fun that is hugely entertaining to play and completely competent in structure. Apparently the game wasn’t a sales success in Japan, and I can’t see the critical or commercial response being much better out West. 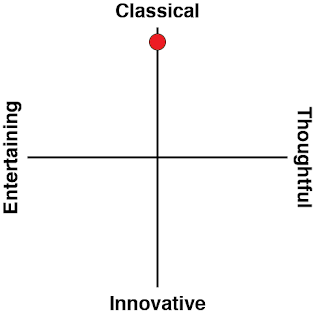 As I said at the start, though, that’s actually a real pity, because while the game might not be better than its peers, it would fare better if it were judged separately.